The Creason Funeral Home continues a tradition of family ownership and personal service first begun in 1860. The funeral business now located at 220 West Washington Street was first started by Peter and Catherine Strauss. The Strauss’ daughter, Louisa, married George Metzger, Jr. Following their marriage the newlyweds began helping with the business. In 1890 George and Louisa purchased the business from Peter and Catherine Strauss and continued to run the funeral home from its present location. In time the funeral home was sold to their son, Phillip Metzger. In 1929 the first major renovation of the facility occurred when the Metzger family added a new chapel. The chapel was decorated in the latest fashion, white wicker furniture. Three of the original pieces, a love seat, a rocker and a chair, are still present in this room. 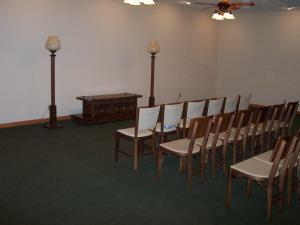 This chapel now serves multiple purposes as the selection room, family area and a second visitation room. Eventually, Phillip Metzger sold the funeral home to his son, Irwin. Irwin continued the business until his death in 1958. 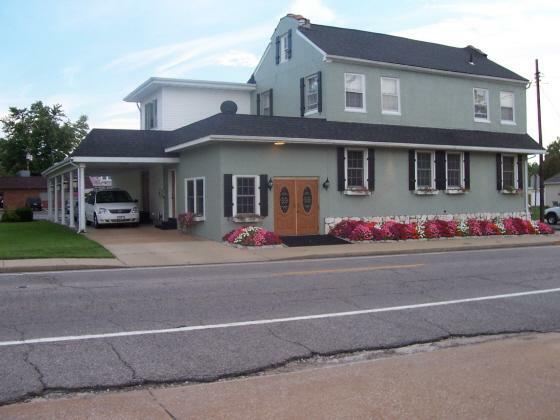 When Irwin died the Metzger family sold the funeral home to James L. and Mary “Ann” Creason in February, 1960. Jim and Ann operated the business until Jim’s death in 2003. In 1963 the second major renovation of the facility occurred when the Creason family added a new chapel. This renovation was completed in 1969 with the addition of the current entrance. After the death of Jim Creason, the funeral home was sold to his eldest son and daughter-in-law, James W. and Karen Creason. 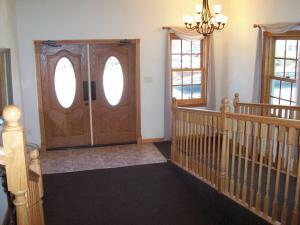 Jim and Karen have recently completed an extensive remodeling of the funeral home. With these improvements they will be better able to serve families well into the twenty-first century. 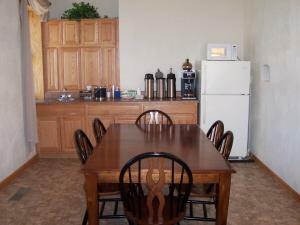 Thus for over 150 years, a Millstadt tradition of high quality personal service at an affordable price from one family to another continues from the same location. Jim and Karen are proud of this tradition of personalized, caring service.